Researchers and farmers select improved finger millet varieties together. Credit, C. Wangari, ICRISAT. 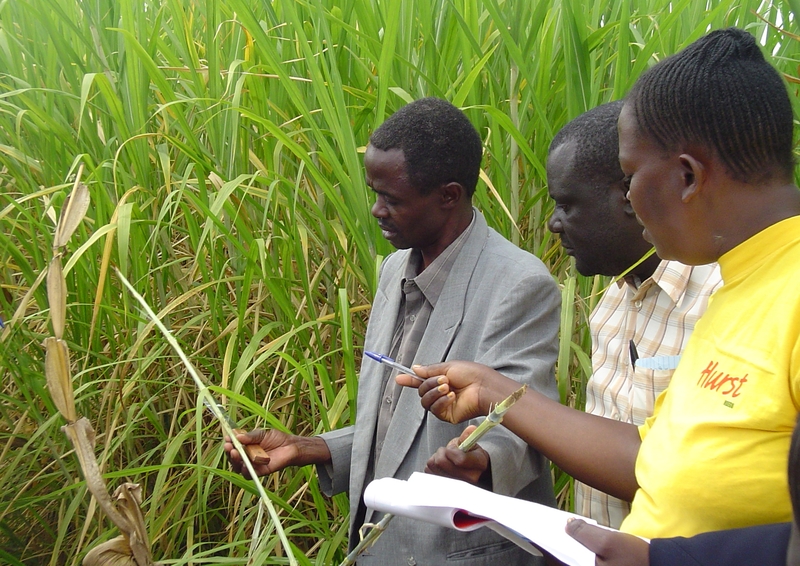 Participatory plant breeding (PPB) is when farmers are involved in a plant breeding programme with opportunities to make decisions at different stages during the process. Farmer’s involvement in PPB can include defining breeding goals and priorities, selecting or providing germplasm, hosting trials in their own fields, selecting superior plants for further breeding, engagement in the research design and administration processes as well as the commercialisation of selected lines. PPB was developed as an alternative and complementary breeding approach to conventional plant breeding. Conventional plant breeding is generally carried out by ‎‎trained breeders in laboratory or controlled environments, often under favourable farming conditions. The main objectives of conventional breeding programmes tend to focus on ‘broad adaptability’ or the capacity of a variety to produce high yields over a range of environments and years. Conversely, PPB involves breeders, farmers and other ‘consumers’ or end users such as rural farm associations or cooperatives in plant breeding research. This enables breeders to better understand the local farming conditions, the farmers’ traditional ways for managing plant diversity as well as their specific needs and preferences. The aims of PPB are also more targeted, focusing on breeding for individual environments and needs. In fact, most progress with PPB has been in marginal or neglected environments (those that are naturally harsh climates or are excluded from connective infrastructure such as roads and markets). Farmer and researchers assess crops. Credit, CIMMYT. Improving seed through on-farm mass selection by farmers was the ‘conventional’ method for varietal improvement until the process was ‘sped-up’ under the direction of large-scale breeding programmes primarily in developed countries during the 20th century. Crop improvement during the Green Revolution invested in varietal development and packages of inputs that were considered economically optimal. Dissatisfaction with the ability of these ‘optimal production packages’ to meet the needs of smallholders in difficult growing environments led to the establishment of local-breeding programmes. Since advocated by NGO’s and also undertaken by some public research institutions, there is now general consensus that farmers need to be more involved in the breeding process. Within marginal areas, PPB has demonstrated a number of advantages and positive impacts, but the evidence base for drawing strong conclusions for its success is thin. Where PPB has resulted in higher adoption rates, this is attributed to greater farmer ownership over the breeding process and pre-assurance that the varieties are suitable to the needs of the farmers and their communities. PPB can also reduce the lag-time between variety testing and release helping to get farmers access to improved varieties more quickly and encourage the development of diverse, locally adapted plant populations or in situ (on farm) conservation that contributes to improved resilience. Further, PPB can empower groups, especially women or less well-off farmers that are traditionally left out of the development process. Compared to participatory varietal selection (PVS) where farmers are only involved in selecting varieties from amongst a pre-determined group of lines that are being field tested, PPB is found to have a higher empowerment effect. Many smallholder farmers in developing countries work lands in marginal areas that are either neglected by markets and infrastructure or face harsh growing conditions, or both. Smallholder farmers in developing countries are also one of the groups most vulnerable to the adverse impacts of climate change. Improved crop varieties that are well suited to diverse and individual growing environments, meet both the physical and social preferences of smallholders, and by preserving crop diversity can help to improve food and nutrition security. Greater genetic diversity and the enhancement of crops suited to dry environments can also enable smallholder farmers to increase their resilience and adapt to climate change. Inclusion of farmers in the decision-making and breeding process also strengthens the empowerment of both farmers and often excluded members of communities such as women and less well-off farming households. Participatory plant breeding helps to build stronger and more reliable seed systems for smallholder farmers working in diverse and harsh environments, thus contributing to sustainable food security and strengthened resilience to a variety of risks and challenges. Participatory plant breeding (PPB) makes use of the traditional knowledge of the farmers involved. Valuing traditional knowledge creates incentives for using and developing its by-products. As test fields are typically located on a portion of the farmers’ fields, the new varieties can be adapted to real production conditions. By allowing farmers to select varieties suitable for their local soil qualities, rainfall conditions and resource requirements, PPB can lead to crops that not only perform well in their intended environments, but are available more quickly and are more readily adopted. According to the World Bank, PPB halved the time for varietal development and dissemination from 10-15 years to 5–7 years compared to a conventional plant breeding. Despite the advantages of participatory plant breeding (PPB), regular or long-term adoption in national and international breeding programmes has been slow. The reasons for slow adoption are not well examined, but some explanations include: (1) PPB is best suited to cereals and less-so to roots, tubers and pulses; (2) the general attitude amongst scientists, professionals and decision-makers is that PPB is opposed to conventional plant breeding programmes rather than complementary; and (3) strict criteria for seed registration in many countries can be a disincentive to both public and private breeding programmes that ultimately seek to recover research costs through release and commercialisation. In order to be a sustainable approach to plant breeding, PPB needs to become a permanent feature of plant breeding programmes, addressing crops grown in agriculturally difficult and climatically challenging environments. More effective systems for producing and disseminating quality seeds of improved varieties in Africa are necessary in order to reach more farmers with varieties suitable to their growing environments, preferences and resource constraints. Participatory plant breeding (PPB) can strengthen farmer seed systems, defined as the ways in which farmers produce, select, save and acquire seeds. Encouraging and supporting on-farm seed production by farmers is seen as one approach to sustainable seed delivery in Africa because it gives farmers betters access to quality seed of their choice. National agricultural research and extension systems (NARES) providers supported by the International Centre for Tropical Agriculture (CIAT) have worked to enhance the skills and knowledge of more than 112 farmers’ groups in quality seed production, dissemination and business management. Participatory plant breeding (PPB) generally involves a higher and more complex degree of involvement of farmers, as they are engaged in decision-making in earlier and more fundamental stages of the variety development chain. When farmers are intimately involved in the early stages of research design, PPB can have a high empowerment effect on participating farmers. If the varietal selection occurs on-farm, ideas from a variety of members with the community, not just those of the farmers selected to participate in the breeding programme, can be more easily incorporated when identifying community needs and preferences. The process in turn generates greater farmer and community ownership over the improved lines and can empower marginalised members of the community. In particular, PPB can be inclusive of women and, importantly, account for their tastes and preferences that often differ from those of their male counterparts. Release of participatory plant breeding (PPB) products into existing informal seed systems is potentially a very efficient, low transaction-cost approach. Yet, policies and laws have a significant impact on the degree to which farmers are able to take full involvement in PPB. For example, in some countries, only scientists with an MSc or higher degree can apply to register a variety and registration is a prerequisite for commercialisation of the variety. This would preclude most smallholder farmers engaged in PPB activities from being able to register new varieties in their own names or that of their association or community. PPB and participatory varietal selection (PVS) therefore can and should raise farmers’ awareness of those regulatory frameworks and, where possible, involve farmers in efforts to influence the modification of those frameworks. Participatory plant breeding (PPB) supports the development and maintenance of a more genetically diverse portfolio of varieties. Unlike the current global breeding model, which for the most part has concentrated on developing a limited number of varieties that are stable over time and adapted to a wide range of environments, the breeding model based on PPB methods encourages the maintenance of more diverse, locally adapted crops. Precisely for this reason, PPB does not attract any significant levels of investment as varieties developed for niche environments are unlikely to spread or spill-over into other areas. Scaling up PPB methods for work at the regional, national, or international level could require large investments in resources. As farmers’ participation increases, they must invest increasing amounts of time, energy, and resources; they must also provide increasing amounts of intellectual input and draw on increasingly sophisticated analytical skills. 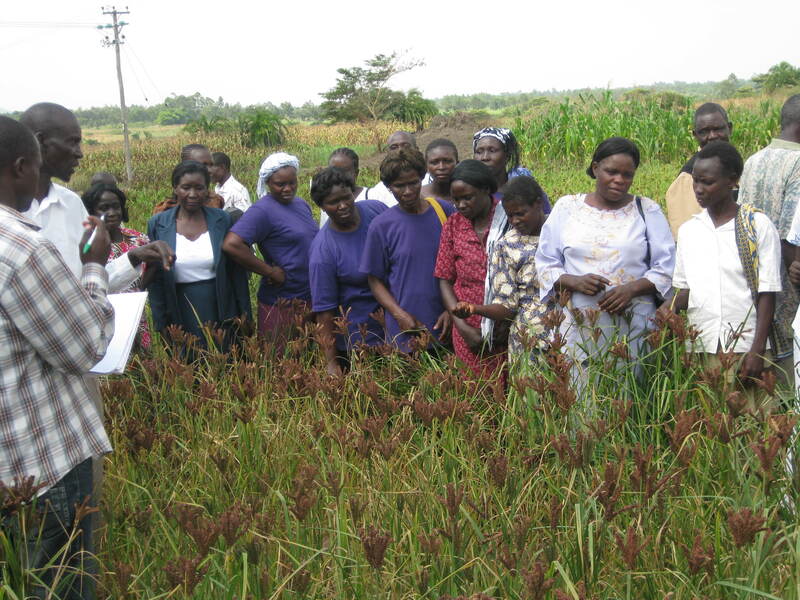 Whilst this can be taxing or unattractive to farmers, for research institutions, participatory plant breeding (PPB) can be less costly to conduct than traditional breeding. This is due to potential savings on field testing sites, lower overhead costs and the shortening of the research period, by half in some cases, required for producing useful materials. One study reports that “on-farm crop variety evaluations revealed a cost of $0.50 per recorded data point for participatory trials, compared with $0.80 for conventional trials.” Anther cost-benefit analysis of participatory and conventional plant breeding conducted in Syria showed that the benefit/cost ratio of PPB is 2.6 times higher than that of conventional plant breeding. Sangherea, GS, Dar, SH, Kashyap, SC, and Parray, GA 2014, “Participatory Plant Breeding: Targeting the Needs of Resource Poor Farmers in Marginal Areas,” in Crop Improvement: An Integrated Approach, eds. CP Malik, GC Sanghera & P Sharma, MD Publications Pvt Ltd New Delhi, pp. 263-284. Devkota, KP, Gyawali, S, Subedi, A, Witcombe, JAD & Joshi, KD 2005, ‘Adoption of Main Season Rice in Chitwan and Nawalparasi Districts of Nepal from 2001 to 2002’ CAZS Natural Resources Discussion Paper No. 6, CAZS Natural Resources, University of Wales, Bangor. Alpert, E, Smale, M & Hauser, K 2009, Investing in Poor Farmers Pays, Oxfam International, Available from: <https://www.oxfam.org/en/research/investing-poor-farmers-pays> [1 July 2015]. The World Bank, 2007, World Development Report, 2008: Agriculture for Development, The World Bank, Washington, DC. Ceccarelli, S, Guimarães, EP, Weltzien, E (eds.) 2009, Plant breeding and farmer participation. Food and Agriculture Organization of the United Nations (FAO), Rome. Kotochi, J 2010, ‘Reconciling Agriculture with Biodiversity and Innovations in Plant Breeding’ GAIA vol. 19, no.1, pp. 20-24. Vernooy, R & Stanley, B 2003, ‘Breeding Better Barley – Together: A new way to work with farmers in dry areas’ Seeds That Give: Participatory Plant Breeding Case Study Series, International Development Research Centre (IDRC), Ottowa. Weltzien, E & Vom Brocke, K 2001, ‘Seed systems and their potential for innovation: conceptual framework for analysis’ in: ed. L Sperling Targeting seed aid and seed systems interventions; strengthening small farmer seed systems in East and Central Africa. Proceedings of a workshop held in Kampala, Uganda, 21–24 June 2000. International Centre for Tropical Agriculture (CIAT), Kampala. International Centre for Tropical Agriculture (CIAT) (no date), Seed Systems under Stress, Available from: <http://ciat.cgiar.org/seed-systems-under-stress> [1 July 2015]. Morris, ML & Bellon, MR 2004,0 ‘Participatory plant breeding research: Opportunities and challenges for the international crop improvement system’ Euphytica vol. 136, pp.21–35. Toomey, G 1999, ‘Farmers as Researchers: The Rise of Participatory Plant Breeding’ IDRC Online Archive. Available at: <http://web.idrc.ca/ev_en.php?ID=5559&ID2=DO_TOPIC> [1 July 2015]. 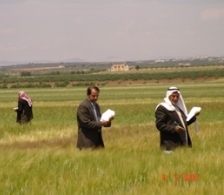 Mustafa, Y, Grando, S & Salvatore, C 2006, Assessing the Benefits and Costs of Participatory and Conventional Barley Breeding Programs in Syria, The International Center for Agricultural Research in the Dry Areas. Available from : <http://impact.cgiar.org/assessing-benefits-and-costs-participatory-and-conventional-barley-breeding-programs-syria> [1 July 2015]. The International Centre for Agricultural Research in the Dry Areas (ICARDA) has developed participatory breeding (PPB) programmes in Algeria, Egypt, Eritrea, Iran, Jordan and Syria on crops widely produced in the Middle East and North Africa (MENA) such as barley, wheat, lentil, chickpea and faba bean. ICARDA decided to convert its breeding programmes from a classical model to a participatory approach in the late 1990’s after successfully breeding several new varieties of barley with Syrian farmers. Barley is grown on more than 5 million hectares across the MENA region and remains popular for its ability to adapt to harsh conditions and its use as livestock feed. To address the shortfall in both adapted and high yielding barely varieties, ICARDA brought together farmers, breeders, and social scientists as partners to solve this challenge. Between 1997 and 2004, the ICARDA barley breeding program featured farmer selection and breeding line evaluation on 8,000 plots planted in farmers’ fields. Host farmers in 9 communities were linked to 2 research stations from which they obtained experimental lines to combine with their own local varieties. As part of these trials several new varieties were identified that satisfied farmers’ needs for high yields and palatability for grain and straw for their animals. The Syrian example demonstrated that farmers could handle large populations of plant varieties, develop their own measurement and scoring systems, and that they could be as efficient if not more so than trained breeders in selecting the highest-yielding varieties in both their own fields and in lower rainfall research stations. Based on the successes of the programme, the ICARDA team extended the PPB model to 6 other commodities. Complementary to the PPB efforts, ICARDA has begun participatory research in natural resource management, in particular on sustainable land management in dry areas. Walker, TS 2006, ‘Participatory Varietal Selection, Participatory Plant Breeding, and Varietal Change’ Background Paper for the World Bank Development Reoprt, 2008, Available from: < http://siteresources.worldbank.org/INTWDR2008/Resources/2795087-1191427986785/WalkerT_ParticipatoryVarietalSelectionPPB_complete.pdf> [6 July 2015]. Jethobudho is an aromatic rice variety found in the Pokhara valley of central Nepal. The variety is valued for its superior cooking qualities such as softness, taste, aroma and volume expansion ability. But due to significant problems with quality variation from susceptibility to lodging (stalk bending) and disease, Jethobudho was not competitive with other high quality rice varieties despite consumers being willing to pay a high price. 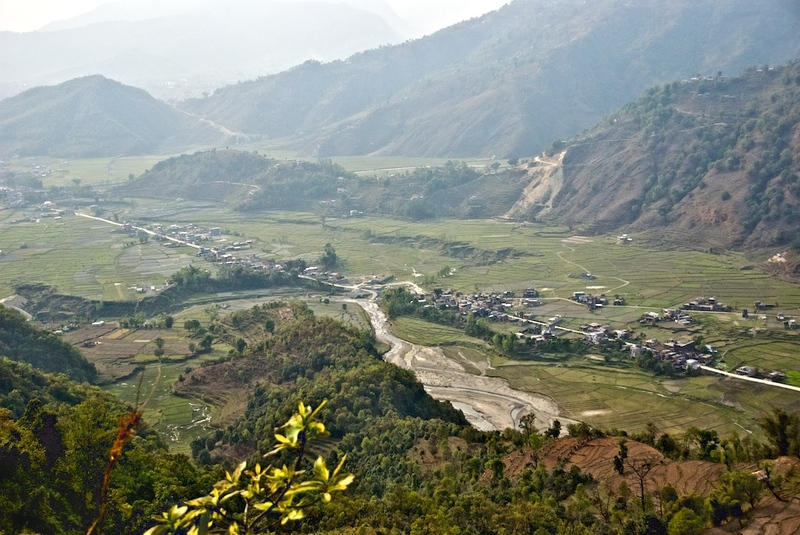 Together, the Fewa farmers’ group, the Local Initiatives for Biodiversity Research and Development (LI-BIRD), the Nepal Agricultural Research Council (NARC), the District Agriculture Development Office Kaski and Bioversity International initiated a participatory selection process to identify improved Jethobudho varieties. An extensive field diversity collection survey was carried out to identify plants with valuable characteristics, as determined through consultation with farmers, traders and hoteliers who identified a list of traits, including aroma, taste, softness, yield, susceptibility to lodging and diseases, for the “ideal” Jethobudho variety. Surveys of crops were carried out across several locations in the valley, with a total of 338 lines from farmers’ fields evaluated for their performance against these desired traits. Based on the survey, 46 lines were selected and 6 distinctive lines chosen to create ‘Pokhareli Jethobudho.’ In the years that followed, Pokhareli Jethobudho was found to outperform the original breeds in uniformity, post-harvest quality (such as taste and aroma), yield, straw quality and tolerance to stress. Yields increased from 2.4 t/ha to 3.35 t/ha. For the first time ever in Nepal, the variety was formally registered and released by the Nepalese regulatory authorities with recognition of farmer co-ownership even though under the Nepalese Seed Act, varieties can only be registered to those with an MSc degree or higher. Gyawali, S, Sthapit, BR, Bhandari, B, Bajracharya, J, Shestha, PK, Upadhyay, MP & Jarvis, DI 2010, ‘Participatory crop improvement and formal release of Jethobudho rice landrace in Nepal’ Euphytica vol. 176, pp. 59-78. Halewood, M, Deupmann, P, Sthapit, BR, Vernooy, R & Ceccarelli, S 2007, Participatory plant breeding to promote Farmers’ Rights, Bioversity International, Rome. From 1994 to 1999, the International Maize and Wheat Improvement Centre (CIMMYT) assessed the impact of the existing range of maize germplasm on poor farmers in the Guangxi province of south-west China. The study showed that there was a systematic separation between the formal and farmers’ seeds systems. This led to inadequate variety development, poor adoption of modern varieties, a decreasing genetic base and biodiversity in farmers’ fields. Although there are more than 16,000 varieties of maize germplasm collected in China, 53% of total maize growing areas are covered by just 5 dominant species. In Guangxi, the local germplasm collection has around 2,700 entries, but only 3 main hybrids are generally used, all of which show poor adaptability for the diverse and fragile agro-ecological conditions in the province, as well as disease susceptibility. 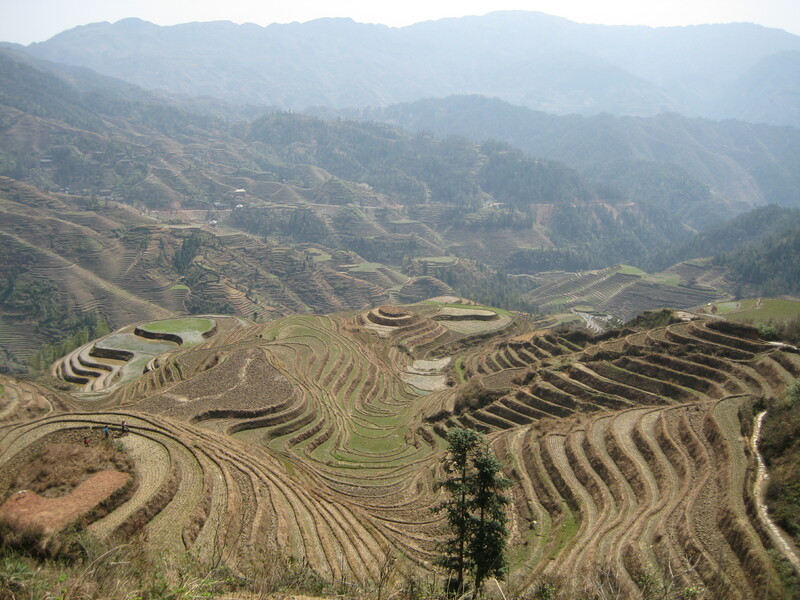 A team of local farmers and the Centre for Chinese Agricultural Policy and Guangxi Maize Research institute carried out trials in 6 villages and on-station using both participatory plant breeding (PPB) and participatory varietal selection (PVS) methods. Tests compared the impacts of the locality, approach, objectives and varieties selected. The maize varieties compared included open-pollinated varieties, waxy varieties and those introduced by CIMMYT, some of which were already improved with local crossings. The new varieties developed from these crossings showed better adaptation to the local environment with desired traits for yield, taste and palatability. Whilst germplasm diversity improved so did the local level organisational and decision-making capacity of farmers. In addition to 31 varieties of maize, there are now 17 types of bean, 16 vegetables, 14 cereals, 8 root crops, and an assortment of traditional herbs, spices and medicinal plants, almost all of which are farmer-developed. Now in its second phase, the project is attempting to link community-based action research with the policy-making process by increasing efforts to engage directly with key decision-makers in the policy arena at both the provincial and national levels. A better understanding of farmers’ roles has enabled their participation. In part, this is due to the project team providing training and network building support, facilitating effective interaction and collaboration between all of the stakeholders: 5 women’s groups, 6 villages, 6 township extension stations and 2 formal breeding institutes. Vernooy, R & Song, Y 2004, ‘New approaches to supporting the agricultural biodiversity impotant for sustainable rural livelihoods’ International Journal of Agricultural Sustainability, vol. 2, no. 1, pp. 55-66.